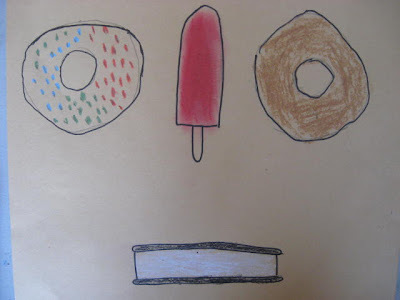 My Mini Modern Artists finished this art session with a take on the work of pop artist, Wayne Thiebaud. 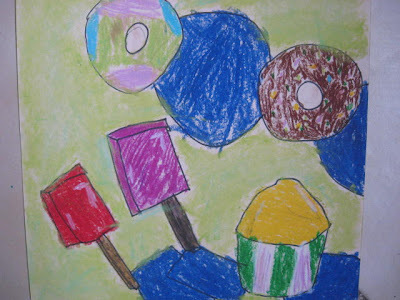 The children were very excited about the subject matter of this living artist: rows of cakes, lollipops, pie ect. 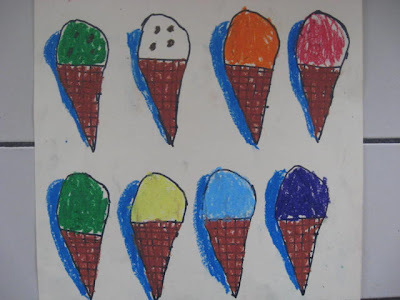 They each chose their dessert and drew and cut out a simple shape to be repeated. 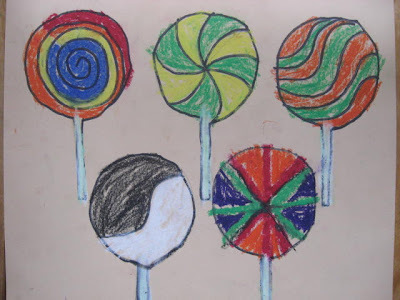 Some kids opted for a whole sweets buffet. 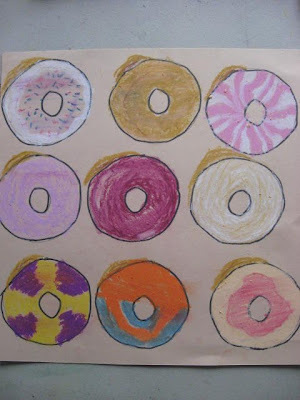 After tracing their shape in permanent marker they used chalk and oil pastels to mimic Thiebaud's thick painterly style. I encouraged them to add some strong cast shadows, also very prevalent in his work. 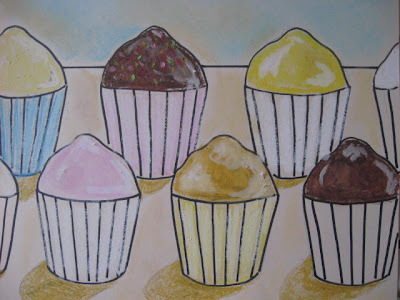 I did my own cupcakes as an example. 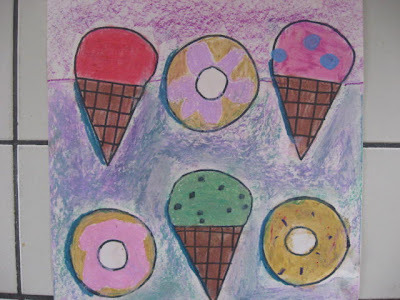 But I was really thrilled to see these 2nd and 3rd graders take it a step further with color and placement. I think they did a wonderful job! Cool! We started a similar project with WT as our inspiration this week. 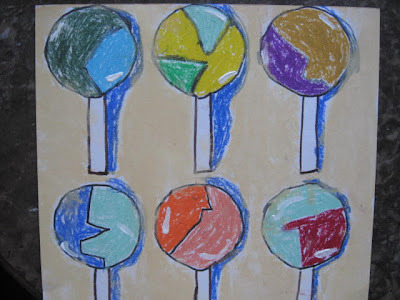 We are using paint and texture-have to post when we finish. Really happy to find you!